"Nuestro colega y hermano Thobbe Englund ha decidido dejar Sabaton. ¡Soló le deseamos éxitos y buena suerte en el futuro, y le agradecemos estos buenos años y los momentos fantásticos que hemos compartido tanto dentro como fuera del escenario! Hoy he decidido anunciar mi licenciamiento de Sabaton. ¿Por qué?... Muchos se pueden preguntar. - Hay una cosa en la que realmente creo, y es que uno siempre debe de seguir su corazón. En los últimos años me he vuelto más consciente de lo que me hace sentir realmente feliz y es ampliar mi propia creatividad en combinación con una vida algo más sedentaria, en la que no esté de gira todo el año a la velocidad de la luz. Por desgracia, como consecuencia de ello no voy a ser capaz de cumplir con toda esa gente maravillosa que nos sigue, lo cual es triste y realmente os voy a extrañar a todos. Pero continuaré en la música, por supuesto, y mientras escribo esto estoy haciendo planes para el futuro. Durante los muchos años de gira con Sabaton hemos llegado a ser como hermanos. Junto con el mejor equipo del mundo hemos tenido una verdadera explosión y hay un vínculo entre todos nosotros que no se puede romper. Thobbe va a hacer algunos conciertos más durante el verano y tocará su último concierto con Sabaton en nuestra ciudad de Falun, en nuestro propio festival el "Sabaton Open Air", en la fiesta de lanzamiento de nuestro nuevo álbum "The Last Stand". Después continuaremos con un nuevo guitarrista. ¡No temáis amigos, el espectáculo seguirá!" Our colleague and brother Thobbe Englund has decided to part ways with Sabaton. We wish him nothing but success and good luck in the future, and we salute him for all the good years and the fantastic moments we shared both on and off the stage! Today I have decided to announce my leave from Sabaton. – There is this thing that I truly believe in, and that is that one should always follow the heart. I have in recent years become more aware of what would make me feel real happiness and content, and that is to expand my own creativeness in combination with a somewhat stiller life, where I will not tour all year round at the speed of light. Unfortunately as a consequence I will not be able to meet all of you wonderful people out there, which is sad, and I´m really gonna miss you all. 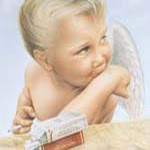 But I will still be making music, of course, and as I am writing this I am making plans for the future. During the many years of touring with Sabaton we have become like brothers. Together with the best crew in the world we´ve had a true blast and there is a bond between all of us that cannot be broken. Therefore I find no reason to be sentimental, because brothers and sisters are friends for life, and the future is bright! Thobbe will do some more shows during the summer and play his final gig with Sabaton in our hometown Falun, on our own festival Sabaton Open Air, for the releaseparty of our new album The Last Stand. After that a new guitar player will carry on. Do not fear friends, the show will go on! Sabaton anuncian en su Facebook oficial que Tommy Johansson será el guitarrista que sustituya a Thobbe Englund. Thank you Thobbe, Welcome Tommy! Our guitarplayer Thobbe did his final concert with us on the last nights very emotional show at the Sabaton Open Air festival. Celebrating the release of our new album while saying goodbye to a great friend is lot of mixed feelings. But the future is bright since this was not nearly our last stand, from now on you will see Tommy Johansson playing guitars with Sabaton and we all look forward to see you on the road! "For me to be a part of the Sabaton family is a huge honour and I couldn't be happier! The guys are awesome and among the nicest people you can meet. I've been following Sabaton since 2005 when I saw them live for the first time and I have loved the band ever since, so when they asked me to join there were no hesitation. Alhough, they did ask me already back in 2012 but for many personal reasons it was not a good time for me to hit the road and give everything that was needed to the band. So I declined, but we have stayed in touch since then. 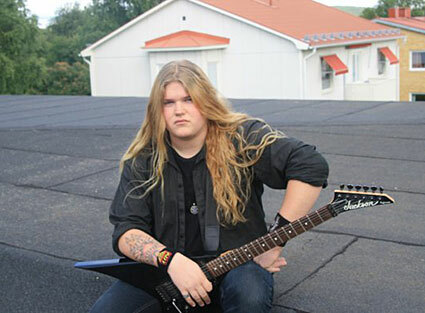 I also wanna say that Thobbe is a great guitarist and such a wonderful guy!! My job is not to replace him, it's to contribute to the band with my own style of guitarplaying but of course also to keep his fans happy by playing his wonderful solos with pride. I look foward to meet you all on tour and to do what I love the most in life - to play heavy metal!" SABATON: posiciones en las listas de ventas de "The Last Stand"
En España aun no han salido las listas de ventas de la semana en que se lanzó disco. 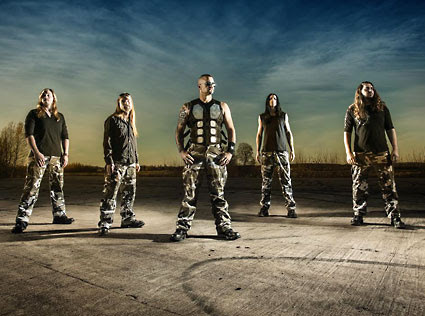 Sabaton están en el estudio para comenzar a grabar su nuevo disco que se lanzará el este año (2019) a través de Nuclear Blast Records. Joakim Brodén y Pär Sundström publicaron un breve mensaje en video: "Tenemos noticias interesantes que contaros", dijo Joakim. "Estamos haciendo un nuevo álbum. No estoy diciendo que vamos a empezar a hacer un nuevo álbum, en realidad estamos grabando ahora". SABATON: primeros detalles de su nuevo disco "The Great War"
Sabaton lanzarán su noveno álbum de estudio, "The Great War", el 19 de julio a través de Nuclear Blast Records. El disco del vigésimo aniversario de la banda será un trabajo conceptual sobre la Primera Guerra Mundial. El grupo comenzó las grabaciones exactamente 100 años después del final de la Primera Guerra Mundial (11/11/1918) y durante 3 meses trabajaron en el disco junto con su productor y socio Jonas Kjellgren en los estudios Black Lounge. El álbum ha sido masterizado por Maor Appelbaum y la portada es nuevamente obra de Peter Sallaí. SABATON: lista de temas de "The Great War"
Sabaton lanzarán su noveno álbum de estudio, "The Great War", el 19 de julio a través de Nuclear Blast Records. Podéis ver las ediciones más abajo. 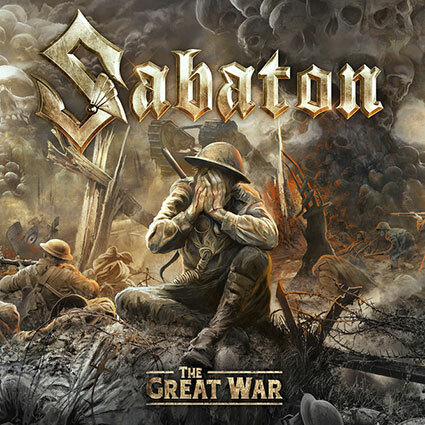 2019-04-18 - Today, Swedish heavy metal heroes SABATON start the pre-order for their new studio album that will be released this summer 2019. This ninth full-length record, that will see the light of day right in time for the band's 20th anniversary, will be a concept album named "The Great War" based on events during the First World War.